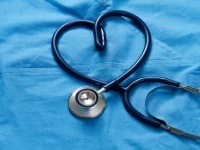 Dr. Alex is passionate about quality care, which shines through by his meticulous operative techniques and attention to detail together with his genuine, compassionate and caring manner. Dr. Alex is highly qualified and up-to-date with the latest developments in both reconstructive and cosmetic plastic surgery. As a Fellow of the Royal Australasian College of Surgeons (FRACS), you can be confident you are in good hands, as these qualifications are only awarded to those doctors who have successfully completed several years of rigorous surgical training. 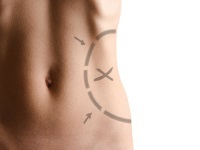 Dr Alex has performs the following procedures in his newly created clinic in Box Hill. Dr. Alex is specially trained to treat and operate in all areas of hand surgery, including the hand, wrist and forearm. Hand surgery encapsulates a range of treatments designed to restore the function and appearance of the hand. In recent years, there have been dramatic advances in treating patients with hand injuries, degenerative disorders, and birth defects of the hand. Dr. Alex commonly treats conditions such as Carpel Tunnel Syndrome, Dupytrens Disease, Ganglions, Joint Replacement, Trigger Finger and Tendon and ligament repair. For a consultation with a specialist hand surgeon in Melbourne, contact Dr. Alex Yuen at his Box Hill Plastic Surgery clinic on 03 9258 0000. As a specialist Plastic Surgeon, Dr. Alex is highly regarded in all areas of skin cancer treatment and surgery. Rest assured, you will receive the highest standard of quality and competency. 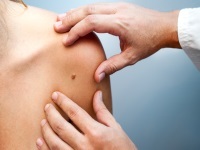 If we suspect that you may have a skin cancer, a biopsy may be needed for diagnosis. 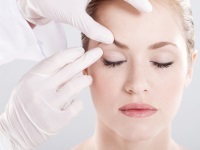 This is a quick and simple procedure usually done under local anaesthesia. For a known BCC or SCC, the lesion is usually cut out and sent to a pathology lab for examination under a microscope. Most skin cancers are removed surgically. If the cancer is small, the procedure can be done quickly and easily. The procedure may be a simple excision, which usually leaves a thin, barely visible scar. If examination shows that all the cancer cells have probably been removed, you may not need further treatment. For a suspected melanoma, we may remove all or part of the lesion. It is then sent to a laboratory so a pathologist can examine it under a microscope. Depending on the pathologist?s report, a wider excision (that is, taking more skin more deeply) may be recommended. 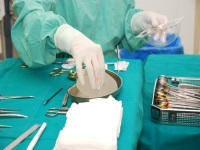 In which case, a skin graft or a skin flap may be required to repair a large area of skin. If the cancer is large or if it has spread to the lymph glands or elsewhere in the body, major surgery may be required. Dr. Alex Yuen and his team understand the sensitivity required when planning and undergoing breast reconstruction surgery. Dr. Alex is specially trained to perform all types of breast surgery, including cosmetic and reconstructive breast surgery. As a specialist surgeon, he is up to date with the latest techniques and competent in the newer and more refined autologous breast reconstruction options such as; Deep Inferior Epigastric Perferator tissue transfer (DIEPs), Transverse Upper Gracilis flaps (TUGS), Superficial Inferior Epigastric Artery Flap (SIEA). Body contouring surgery is a range of aesthetic (cosmetic) procedures designed to improve the body?s appearance by modifying its size or shape. Body contouring surgery is most commonly performed to contour the waist, abdomen, thighs, buttocks, upper torso and upper arms. Surgical methods range from removal of fat and/or excess skin to surgical implants and lifts to improve skin tone and definition. Liposuction, also known as lipectomy or lipoplasty, is a procedure that improves the body?s contours and proportion by removing excess fat deposits to slim and reshape specific areas of the body. Common areas targeted include thighs, buttocks, abdomen, arms, neck and under the chin.